YES! This must-have toddler title sheds light on some concepts with a comical flair that will make readers HAPPY. A towering ice-cream cone makes Baby HAPPY. But when that delectable treat goes splat, it makes Baby SAD. And how quickly HAPPY turns to SAD when a favorite red balloon flies away! 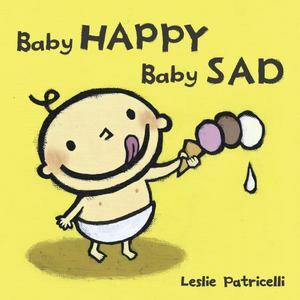 Even the littlest listeners will relate to this playful look at a pair of emotions that are part of every baby’s day.